Fair Warning: I’m about to get a mite sappy. 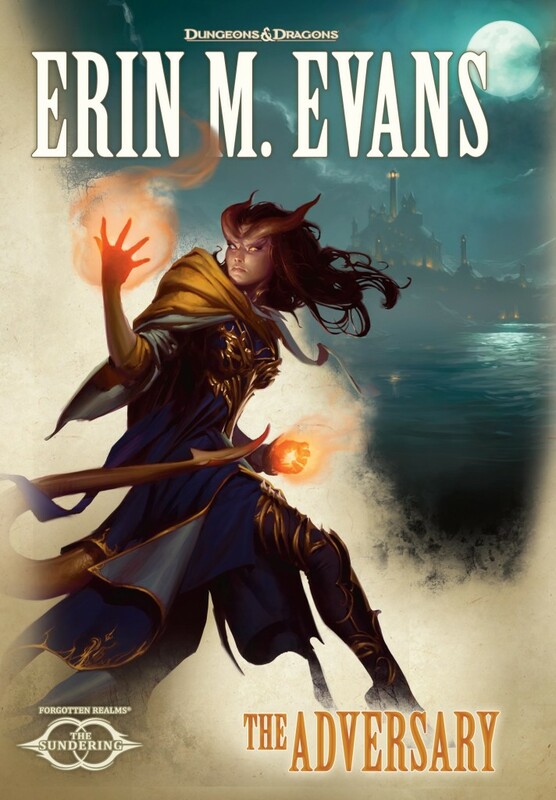 Last week, I turned in the final edits on The Adversary, the third book of the Sundering (and the third book of the Brimstone Angels/Farideh series). There’s something about turning in a book that feels like giving birth, only somehow backwards. You’re completely consumed by this project, this idea, these words, these characters. The closer you get to the deadline, the more full of this creation you are–it creeps into your thoughts while you make dinner, while you talk to your neighbors, while you watch movies or mow the lawn or play on the floor with your child. How do I make this plot element fit? How do I redeem that character? What am I going to do with this half-scene that’s not going to fit? And then one day it’s done. And as much as your brain wants to think about it, there’s not really a point. You’re finished. There are no more scenes in there you need to perfect, no more characters to put through their paces–you’re done. Can I tell you a secret? I love this book. I’m sort of afraid of how much I love this book, because that seems like jinxing it, especially when I know this is a huge chance for me. And there were plenty of times I hated it, and hated what it was doing to me and hated how hard it was to write and how hard it was to revise. I couldn’t do anything because The Adversary needed everything. But then it was done. I was out the other side. And I realized the book was beautiful. I’m so proud of it. I wanted more than anything to find a way to write a book that would embody the Realms, that would fulfill the promises set forth by Brimstone Angels, that would appeal to people who hadn’t read the other books, that would appeal to people who’d reread them all three times, and that would be a book I wrote, with my style and my words and my characters. Which at times, to be honest, felt like absolute lunacy. Guys, I don’t want to jinx anything, but I think I did it. I really hope you like it. This entry was posted in Brimstone Angels, Forgotten Realms, THE SUNDERING, Writing and tagged Brimstone Angels, farideh, Forgotten Realms, sequels, The Adversary, The Sundering, Writing. Bookmark the permalink. I cannot wait for this book! Congratulations on finishing it – I look forward to reading all about how much trouble Farideh gets into during the Sundering 🙂 Well done! I’m eager for this book, but please tell WotC to give us Spanish translations. I really looking forward your new book. It might possibly be the only reason I am looking forward to yet another realms shattering event. And when WotC does spanish translations, let them do it in german also 🙂 but thanks to you i get my english lessons: read two books in english in my life Brimstone Angles and Lesser Evils .. Anyway, really enjoy your work and can’t for more! My next project is…another Farideh book! I’ll get to prodding about those translations.